Our second profile of developers who have contributed apps to federal challenges. The first profile was on Brad Larson. 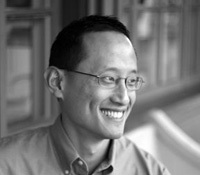 Bio: Curtis Chang is the CEO and founder of Consulting Within Reach (CWR), a firm that works predominately with nonprofits and government agencies. He maintains expertise in the realm of social entrepreneurship and innovation, writing for both the Skoll Foundation’s Social Edge and Stanford Social Innovation Review. Description of the App: Frontline agency staff members during the referral process enter the profile of a client which then matches them to a provider that best serves their needs. The application shares useful information on how to reach service providers, up to date services available, while also tracking all referrals made. Ultimately, it streamlines the process for homeless referrals, and captures useful information for service providers and government agencies to better collaborate. Who is the App Intended to Serve: The target audience for the Homeless SCC app is frontline staff assisting the homeless, as well as the government and philanthropic agencies. Why was the app developed: The motivation for the app stemmed from the widespread recognition that many of the most challenging social issues are complex, constantly changing, and often have duplication. The organizations serving the County’s homeless had little data compiled, and furthermore had little idea what others were doing. The app emerged as a response to the understanding that the public sectors and these organizations need a rational way to better collaborate; having data is essential to planning and collaborating effectively. CWR developed the app with funding from private sources with an interest in homelessness. CWR is a private entity, therefore although they conduct work seeking to improve and address challenges in society, they must also think about how to cover development costs. How was the availability of the app communicated to potential users: CWR worked with the County, who endorsed the application but did not mandate its usage. There was no real incentive for usage. To these ends, the consulting firm produced and conducted several presentations, individual reach-outs/visits, and mobilized a ‘sales team’. This was gauged as partially successful. What were the key lessons learned during the development of the app: 1) There is a need for someone (e.g. a foundation, influencer, etc) or public agency with a big stick or a big carrot, or even better both with the authority to mandate and build urgency to ultimately spur usage of the application. 2) The amount of work it took to publicize and market the app is not seen as the best method moving forward. The consulting firm itself ate the cost of these efforts. It is not a sustainable process to have the developers themselves hitting the pavement. 3) The technology was the easiest part, building a coalition and getting the app in the hands of users is challenging. Public agencies should provide support and access to their networks for diffusing apps into communities. 4) Public agencies should do more to stay involved with the app developers after competitions so as to learn from their efforts, support them, and work on future iterations of the app. Cash-prizes very important. Usually these apps have been developed out of some cause-motivation or low-budget gig. Nice to have development costs covered by prize winnings. Follow-up motivation and commitment on the part of federal agencies to publicize and market these apps. Federal programs need to market the apps submitted, as app developers are looking at this as a viable marketing platform. Don’t put property rights on the apps developed for the competition. Too much burden. Public agencies who collaborate foundations to develop challenges is seen as attractive. As a consulting firm, they target competitions where a suitable app is already developed. Developing an app for a particular competition is pretty risky. What do you plan on doing next with the Homeless SCC app, and your interest in app development for tackling social and technical problems: The Homeless SCC app model has already been replicated in Northern California and its outdoor youth programs. In this case, organizations and programs are mandated to use the app. In addition, Santa Clara County has expressed interest in developing a similar application for networking local church services for recently released prisoners.